SNAFU! 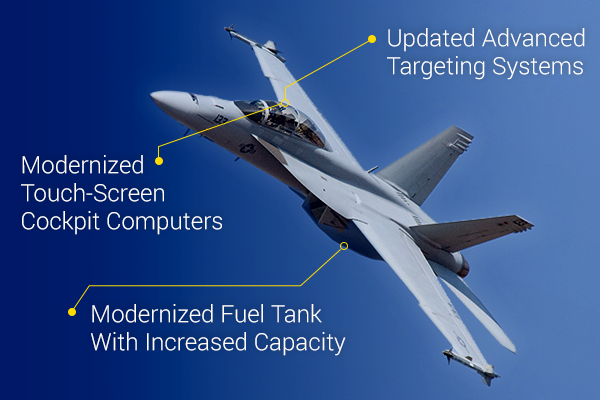 : Super Hornet Service Life Modification (SLM) Begins! Super Hornet Service Life Modification (SLM) Begins! Boeing and the US Navy! You cheeky little fucks! I see what you're doing here! Are you seeing what I'm seeing? Modernized fuel tank? They're gonna squeeze out extra range ... before they add conformal tanks! Modernized touch screens? They're gonna do the Boeing version of sensor fusion, and make no mistake this will be fully compatible with Navy Net-Fires! Finally the wording on the last item is tantalizing. "Updated Advanced Targeting Systems"! Is it just me or does the wording indicate it being more than a step ahead of another plane that will not be named? All in all I think we're seeing a very solid plan B to the F-35. It's really quite stunning, and I guess I was spoiled. The Marine Corps has had outstanding leaders for so long that when a hiccup occurs, not only is it devastating but the effects linger. Greenert laid the groundwork for a Navy that is survivable in an age of austerity. His payloads over platforms mantra is being realized as we speak and because of his leadership the Navy isn't in an even worse hurt locker than it is. We can throw stones at certain procurement items but considering the role of Congress and a certain DefSec that insisted on a total focus on terrorism while ignoring a return to nation state conflict (or even evolving terrorist forces), he did a really good job. If Boeing can keep costs under control and if the upgrades actually work as advertised I think it can be safely said that they're back in the fighter business.